Network administrators and security professionals will learn how to use SRX Junos services gateways to address an array of enterprise data network requirements -- including IP routing, intrusion detection, attack mitigation, unified threat management, and WAN acceleration. 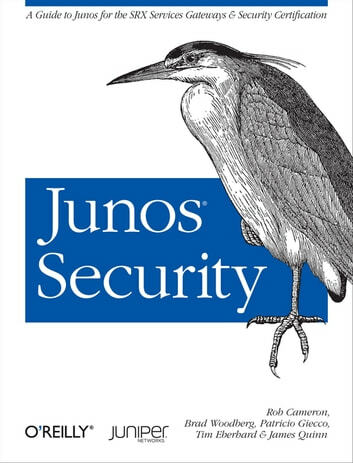 Junos Security is a clear and detailed roadmap to the SRX platform. The author's newer book, Juniper SRX Series, covers the SRX devices themselves. "I know these authors well. They are out there in the field applying the SRX's industry-leading network security to real world customers everyday. You could not learn from a more talented team of security engineers."